In July 2004, federal agents raided the homes of five Palestinian-American families, arresting the five dads. 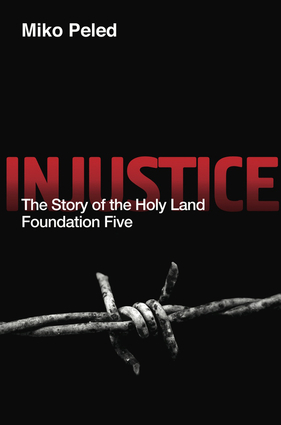 The first trial of the "Holy Land Foundation Five" ended in a hung jury. The second, marked by highly questionable procedures, resulted in very lengthy sentences—for "supporting terrorism" by donating to charities that the U.S. government itself and other respected international agencies had long worked with. In 2013, human rights activist and author Miko Peled started investigating this case. He discussed the miscarriages of justice with the men's lawyers and heard from the men's families about the devastating effects the case had on their lives. He also traveled to the remote federal prison complexes where the men were held to conduct deep interviews. Injustice traces the labyrinthine course of this case, presenting a terrifying picture of governmental over-reach in post-9/11 America.